"StayLinked SmartTE is the most advanced Terminal Emulation software solution in the world," says StayLinked President, Dan Hogan. "Our ongoing, successful expansion in the European, Latin American, and Asia-Pacific regions reflects that. We're committed to accelerating not only the growth of our company, but of our global partners and customers as well. With StayLinked Labs, we will continue to lead innovation in this space and provide our customers with the most comprehensive TE solution available." Using SmartTE as an integral part of an innovative solution, StayLinked Labs has already created and implemented a successful automated conveyor application for one of the largest athletic apparel companies in the world. "Using a combination of rapid prototyping technologies like 3D printing and Arduino, paired with hand-coded hardware control programs, we were able to replicate and pilot the customer’s planned automated conveyor operation within a week of inception," says Justin Griffith, StayLinked CTO. While traditional automation implementations could take months to see operation in full production, all with great expense and risk to the customer, StayLinked’s solution took weeks to implement in full production and required no changes to the backend application. The automation framework developed by StayLinked Labs has been so successful that the next release of StayLinked SmartTE will give customers early access to some of the hardware automation features being used in production today. The first step was to design and build a prototype that could illustrate the IoT process in action [see the video here ]. 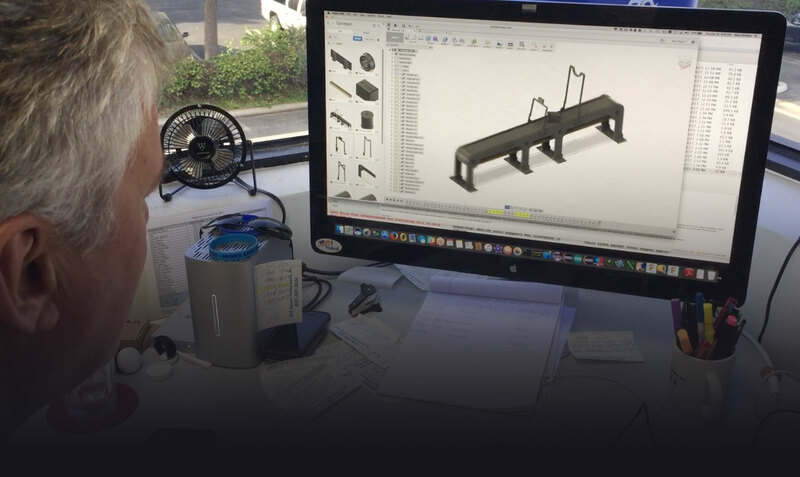 The solution was designed by StayLinked Labs in a 3D CAD software application and then the parts were manufactured using a 3D printer before being assembled and tested. At the customer site, the full-scale solution was activated and implemented within 24 hours and is currently in operation on the production floor. StayLinked has also partnered with FontAwesome to include a robust set of vector icons displayed as Unicode font characters. This new feature eliminates the need for picture file hosting, management, and maintenance. Now anyone modernizing TE applications can use iconography that renders at the speed of pure text. Font Awesome is also fully supported in StayLinked’s new Smart Tiles feature. Built to expand on the innovative Smart Keyboard feature set, Smart Tiles allows customers to create text- or icon-based keyboards and button overlays without ever having to deploy configuration files to individual devices. Last September, Zebra unveiled Savanna, a real-time visibility platform that gives Zebra hardware customers insights into certain asset and operational data sets, and announced a partnership with StayLinked to bring this unique value to their customers. StayLinked will facilitate the development of vertically-oriented applications using edge data and associated insights from Savanna. StayLinked's most recent innovation is StayLinked iQ, a product which delivers intelligence and actionable insight to Terminal Emulation customers. "Most Terminal Emulation environments have been starved of valuable information over the past 15 years," says Padraig Regan, who directs StayLinked Labs. "Now, we can provide our customers with real worker productivity data and highlight what actions need to be taken to improve and maximize productivity. There is a lot of anticipation and excitement in the market around the product which is due to be released commercially in the coming months." "Savanna delivers on Zebra's promise of Enterprise Asset Intelligence by empowering businesses to dynamically mobilize the right information and actions to the right workers in near real-time, reducing workflow friction and optimizing operational efficiency," says Tom Bianculli, Chief Technology Officer, Zebra. "We look forward to working closely with our early adopter program partners to deliver Savanna-powered applications as we bring the power of sensing, data, real-time analytics, applications and mobility together to enable the next wave of enterprise productivity and business models." Determining how warehouses, workers, and devices perform has always been a mix of intuition and instinct. It’s easy to recognize failure when the entire network goes down, or if a worker doesn’t show for a shift, or if a device refuses to reboot. But that’s hardly a blueprint for optimizing your business processes. Another feature of StayLinked iQ is the worker productivity leaderboard, an easy-to-read list of workers who are the most productive as well as a list of workers who are having the most issues on the floor. You can then use StayLinked iQ to diagnose and remedy issues of worker inactivity or inefficiency that may not even be the fault of the workers themselves, such as enormous travel distances between products in an order, or poor network coverage because of the remote location of a particular access point. StayLinked iQ also allows you to see which devices are performing better than others. If you have a mix of hardware in production, you can use StayLinked iQ to see how each model stacks up against the others. And if one or more devices happen to be giving your workers trouble, StayLinked iQ will help identify the problem devices so you can initiate troubleshooting. Analytics are only useful if they allow you identify the issues that cause concerns, and then help you to make the right decisions that improve productivity. By allowing you to compare locations, warehouses, workers, and devices, StayLinked iQ lets you apply A/B testing principles to your warehouse environments so that you can optimize the peak performers and improve the productivity of warehouses that might be experiencing problems. Last year StayLinked grew its business substantially, and that expansion shows no signs of slowing down. "We experienced 40% growth in 2017," says Jay Cichosz, StayLinked Vice President of Marketing and Business Development. "We've accomplished this, in large part, because of the relationships we've been able to build across the globe. With the most advanced Terminal Emulation solution on the market, and with our ongoing commitment to providing unmatched technical support, we're seeing exponential growth in the European and Asia-Pacific markets. We expect this trend to accelerate in 2018. The new StayLinked headquarters and research and development facility will only strengthen our position as the leaders in the Terminal Emulation space."